Eating disorders include both mental and physical factors and are most often identified by the eating behaviours in which individuals engage. The three most common eating disorders are anorexia nervosa (anorexia) bulimia nervosa (bulimia), and binge eating disorder. Though each of these disorders manifest in different eating behaviours, each occurs when sufferers can not separate their emotions from their eating habits and this skews their eating behaviours. Eating disorders are present across age, gender, race and income levels, however eating disorders are approximately eight times more likely to affect women than men and are also more frequently found among younger women. The most common eating disorders are anorexia, bulimia and binge eating disorder. Anorexia is an eating disorder in which the sufferer is terrified of gaining weight and decreases the amount of food that (s)he will eat in an attempt to limit weight and body fat. Bulimia is an eating disorder marked by the consumption of a great amount of food in one sitting and then the purging of this food by inducing vomiting or taking laxatives and/or diuretics. Binge eating disorder is also characterised by the consumption of large amounts of food at one sitting but does not include the purging of this food afterwards. Regardless of the behaviours associated with a given eating disorder, most are carried on in relative secrecy and the individuals affected rarely acknowledge that they have a problem. Eating disorders often have severe consequences for oral health and hygiene. Bulimics who repeatedly induce vomiting often suffer from the dissolution of tooth enamel due to acid. Severe erosion to enamel can result in painful teeth that are susceptible to both hot and cold food and even hot and cold air. Unfortunately, once enamel is damaged it does not grow back though pain may diminish when vomiting ceases. Swelling of the parotid gland (which sits just underneath the ear) also occurs frequently in bulimics as the gland becomes damaged due to vomiting. Drying of the mouth is another side-effect of eating disorders. In this drier environment mucus membranes can become irritated, inflamed and infected and cavities are more likely to develop as there is less moisture to wash away plaque. Gingivitis, or an infection of the gums, may also result. Most dental damage brought about by eating disorders can be effectively treated at a dental clinic and increased tooth brushing and flossing is always recommended. Eating disorders bring a host of physical side effects including many different types of dental damage. Erosion of tooth enamel, dryness of the mouth resulting in irritation, inflammation and infections of the mouth and gums, and swelling of the parotid gland are all common facets of dental damage brought about by eating disorders. Fortunately much of the dental damage wrought by eating disorders can be easily treated at local dental clinics. 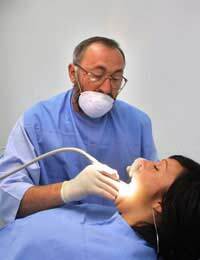 Crowns and fillings are often applied to teeth too damaged to survive on their own. For more information on the physical effects of eating disorders, visit a GP, dentist or contact the Eating Disorders Association and/or National Centre for Eating Disorders. @Em - I'd go and see a doctor before it gets out of hand. Once you're get stuck in the routine of not eating and worrying about food it can get a grip. Do something now before it's too late. I have known to many people get stuck in this cycle of destruction. Honestly. i am 15 years old. i have been in a eating disorder for fast few months. My periods have stopped for about 7 months. Now I eat more.my parents give me lot to eat. But i afraid that I will gain a lot of weight. What should I do? Will my period return quickly?